Do your couches or chairs look like they have seen better days? Upholstery cleaning is something that should never be considered a DIY job. It takes industry expertise and experience to deep clean upholstery furniture because, when it’s not done right, you could end up causing irreparable damage to your furniture. If you do make a mistake, getting your upholstery furniture repaired and refurbished is no simple task and it could end up costing you just as much as brand new furniture. The best way to give your upholstery furniture proper care is by trusting Central Home Services, the best upholstery cleaners in Melbourne, with all of your delicate furniture. We can get any type of upholstery furniture cleaned properly, we can help revive and care for any type of fabrics and we can get any stains and stubborn dirt cleaned off your furniture. At Central Home Services we only invest in high quality upholstery cleaners that enable us to clean any type of upholstery fabric effectively. Fabrics like leather, wool, acrylic, cotton, polyester, silk, rayon, linen, olefin, acetate and various other fabrics is no problem for us. We can get any upholstery cleaned and treated for you. When you get professional upholstery cleaning in Melbourne your mattresses will get a real deep clean and be treated for many types of pests so you can enjoy improved health and better relaxation. We understand that certain fabrics just don’t work well with certain chemicals and that is exactly why we always do a small cleaning test on the upholstery with a sensitive or delicate fabric to ensure that no upholstery will ever get damaged during our cleaning process. 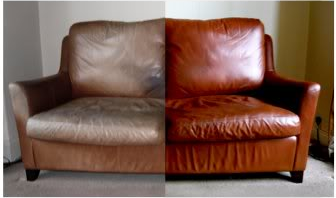 As the top upholstery cleaning service in Melbourne you can bet that there is no stain we cannot get rid of. We have all of the best cleaning products and equipment and can get any stubborn stains removed from your furniture, even if they’ve been there for years. Pet hair on furniture is something that drives the majority of homeowners crazy. The hair clings to all of your clothes, onto plush toys, handbags, blankets and it is incredibly difficult to remove. Luckily, we’re pros when it comes to pet hair removal so you don’t have to suffer with it any longer. The Central Home Services team share your sentimental value with antiques. We are especially careful with timeless classics like antique furniture and will take great care to work meticulously while cleaning these often-fragile upholstery furniture pieces. Genuine leather is expensive and we know that you don’t want this type of luxury furniture to get damaged. We have the best leather upholstery cleaners on our team that will ensure that your leather furniture enjoys a luxury treatment that will help increase its longevity. Regular upholstery cleaning is always the best choice because regular cleaning helps to expand the life of your fabrics and it keeps it looking restored. Homeowners that have small children and pets should get their furniture properly cleaned at least once every three months and it should be vacuumed on a weekly basis. Furniture that is used less often only needs to be deep cleaned about twice a year to control dust, germs and bacteria. The cleaning process will eliminate all bacteria, germs and microscopic insects that can live in your upholstery. When your furniture is cleaned properly you reduce the chances of infections and the spread of disease, which boosts the general health of everyone in your home. Our high quality cleaning services will improve the durability of your furniture because the fabric will enjoy proper care and will be revitalised for a fresher and newer look. We use cleaning products with refreshing fragrances, which will remove deep-rooted bad odours from your upholstery easily. With clean furniture your home receives an instant mini-makeover because all of your fabric’s colours will become more vibrant. Our cleaning services save you a lot of time on scrubbing and rinsing. You can enjoy the company of your indoor pets much more because your home and furniture will be much cleaner and pet hair free. Even though all of our cleaning solutions are incredibly affordable, you still get to enjoy the highest standards of workmanship and customer care from our team. What nasty’s are hiding in upholstery and why you should get it cleaned! We don’t mean to alarm you but chances are that some nasty inhabitants are hiding in the upholstery in your sofas and lounges. Even if your furniture isn’t used on a regular basis, airborne contaminants are still causing an issue and although you may not be able to physically see what’s hiding in there, you can be sure that you’ve a few unwanted visitors. What does that mean for you? It means that your beautiful upholstered furniture could be making you ill. Not only can germs and bacteria find a home in your upholstery, mites can be regular tenants too! Mites can live deep down in upholstered furniture and can be very difficult to remove. As the leading professional upholstery cleaner in Melbourne, we can sure serve them their eviction notice with immediate effect. Cleaning upholstery is no mean feat. It requires special cleaning products and a lot of elbow grease without the right equipment. Perhaps most disheartening of all is the fact that after investing in products and dedicating hours to cleaning the furniture, the results can be far from mind-blowing. Reinvigorating and restoring the appearance of upholstered furniture requires specialist expertise, equipment and products. The jaded appearance of your furniture is down to deeply embedded dirt and contaminants that only experts can get rid of. Cleaning furniture isn’t like scrubbing a floor either as there are specialist techniques you must master and specific solution concentrates you must create. As the most trusted upholstery cleaner in Melbourne, we have also had to often come to the rescue of DIY disasters. Upholstered furniture can be extraordinarily delicate and easily damaged if unsuitable products are used to clean it, heavy concentrates of cleaning solution are applied, too much force or pressure is used during cleaning or incorrect equipment is used during the restoration. Once the damage is done, it can prove expensive and sometimes impossible to get upholstered furniture fully repaired. You’ve seen some of the results we have achieved, now let us bring to life the specifics of the expert upholstery cleaning process that has earned us a great reputation as the leading provider of upholstery cleaning in Melbourne. Just like our carpet cleaning and rug cleaning services, our team of cleaning experts is experienced and trained to take care of all kinds of upholsteries. You will experience their proficiency first hand during their pre-inspection where we inspect and review the upholstery you would like cleaned and provide a custom quote and recommendation. Our technicians take care to hand clean upholstered furniture and ensure to take the necessary care to preserve the materials. We don’t believe in subjecting delicate materials to heat and suction. We ensure to assess for any areas of visible damage, discolouration, split seams etc. before we get to work so you can have a complete, transparent view of the results achieved. With Central Home Services, you can rest assured in the knowledge that your upholstery is in the safe hands of the leading experts in professional upholstery cleaning in Melbourne. A member of our Central Home Services team is standing by right now to give you a quote for upholstery cleaning in your residential or commercial property in Melbourne. All you have to do is contact us here and we’d be more than happy to help you. Central Home Services are Melbourne’s best house cleaners, specialising in upholstery cleaning, air duct cleaning, air conditioning cleaning, carpet cleaning, carpet dry cleaning, furniture cleaning, couch, lounge and sofa steam cleaning. Contact us today!